As the NFL has to come to grips with paying true benefits and restitution to former players, they have to deal with the protection of the present day player. As the NFL has kept the contract for NFL helmets with Riddell, what ever happened to the ProCap that gave players additional helmet padding?? 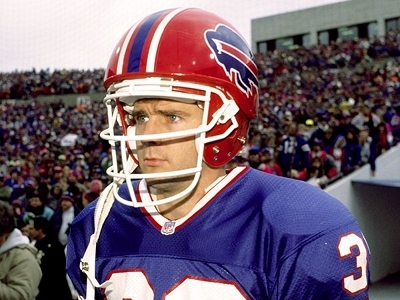 Mark Kelso was the first to sport a ProCap back in 1989.
Who remembers the helmet of Buffalo Bill Mark Kelso and San Francisco 49ers T Steve Wallace?? Back in the 1980’s there were more players who wore helmets manufactured by Bike. A few NFL players were wearing them. 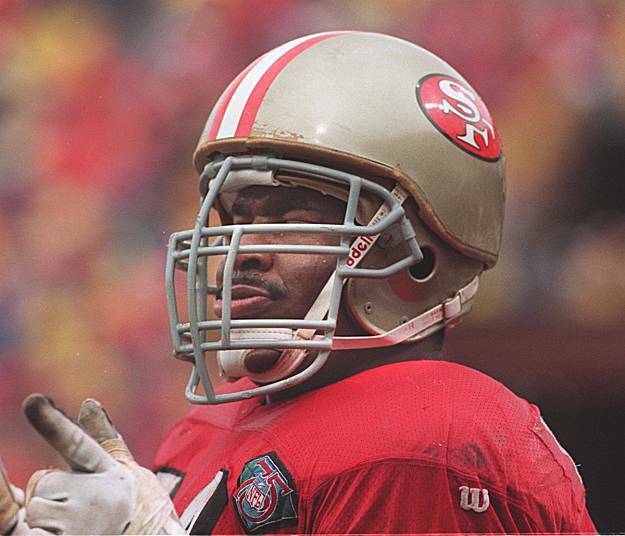 Most notably Ronnie Lott in San Francisco, then Wilber Mashall and Otis Wilson in Chicago. Yet the long standing relationship with Riddell effectively led to an exclusive contract which ended Bike helmets in the pros. Yet there were several manufacturers like Schutt who have come onto the scene touting advancements in helmet manufacturing in recent years. Steve Wallace wore the ProCap while battling on the line of scrimmage. Now we don’t have any statistics regarding concussions between both manufacturers. But when Mark Kelso donned a ProCap after his 4th career concussion in 1989, he only missed 2 games from 1990 -1993. Somewhere during that time Steve Wallace started to wear his. What happened to these during this time of heightened concussion awareness?? Why isn’t every player wearing one?? With all the talk on heightened awareness regarding CTE, concussion protocol, and rule changes: What about extended use of the ProCap?? This entry was posted in 2014 Team Previews and tagged concussion awareness, football, football helmet protection, NFL, ProCap, sports. Bookmark the permalink. The ProCap is back! It’s safety attributes are improved and finally has cool look as it mimics the shape of the helmet it covers. Thanks for remembering. BRING THEM BACK,,THEY LOOK GOOFY,,BUT DID THE JOB!! Hey…they want to reduce concussions. 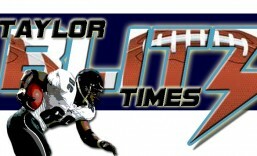 I would rather have the goofy helmets than flag football.